Sent excess baggage via courierpoint.com to USA. The service from collection to drop of was spot on and extremely competitive. Will definitely be using them again. I was sending a fragile embroidery unit from UK to the USA. It arrived at it's destination in perfect condition,and super fast time. Can't recommend this company highly enough. Will definitely use them again! This is the BEST consolidator I have ever used. From the home pickup with the very polite driver to the very easy paperwork which accompanies each package, nothing could be simpler. The price was highly competitive and the home collections were 1 week before Christmas. One collected at 10.30am the other at 3.30pm Friday and today Monday 21st, both delivered before noon to South Carolina USA - different towns. I shall not hesitate to use Courierpoint again. The only niggle on my part and not theirs was that of discovering my Christmas gifts of skincare were regarded as prohibited goods by some carriers. A call to Courierpoint and a helpful operative gave the FedEx number where I spoke direct to someone dealing with this. After a few questions he reassured me that this was fine ( having asked if the skincare products were corrosive!!!) No additional charge of around £20 to deliver to USA country area either. All together a first time 5* service. Thank you. I had to ship a 6kg large parcel to USA and all prices were well over £100 then I found courierpoint on google and had a quick look on trustpilot and could see the great reviews so went ahead and booked the collection at a cost of just less then £65 that was with a £1000 insurance :-) TNT collected on Wednesday and parcel was delivered on Friday in good condition with an happy customer! Will use again without a doubt!! I use Courier Point to send my work the the USA often and the next day service has never let me down and it is a really great price for the service offered. I will continue to use them and would highly recommend! Box was picked up Tuesday before 5pm and arrived USA Wednesday afternoon. 2 things: waited all day for pick up And was advised by customer service to seal the box in front of the driver during pick up which is not the case. Will definitely use again. My parcel was collected on Tuesday from Carmarthen and delivered to Bar Harbor USA on Thursday! Incredible service with tracking every step of the way unlike Royal Mail! My parcel was picked up from home in U.K. at 13:30 on Monday and delivered to my son in USA at 14:00 on Wednesday. 48.5 hours- incredible!!! Whitney helped me get my parcel to USA qucicker than I could get there. Excellent service. I was very impressed with the professional service from initial quote one day right through to a safe and efficient delivery to USA from Yorkshire the very next day! I will definitely use this company again. I sent a Christmas parcel of gifts to my son in the USA through CourierPoint. The website was informative and easy to navigate producing all labels and customs proformas. What a great service - collected in UK as promised on Monday and delivered in the USA as promised by 10.30 on Wednesday. I received tracking updates from Courierpoint and from the courier FedEx. Very very happy. Ive been using courierpoint.com for years now and will use no other service as they don't come close. All my packages to the USA (all parts!) are picked up at my home by friendly and helpful drivers, then I can watch the tracking throughout the transit right through to delivery the very next day! It's just an unbeatable service! Shame the same service isn't possible in reverse as Americans are pushed into using USPS which is slow and expensive. Highly recommend & very professional. Will use again - thank you. Your shipment will be collected, routed and delivered by large branded couriers that you trust for total peace of mind. They will collect, route and deliver your important shipments. By placing your order through us, you get our exclusive discounted rates, based on our large total shipment volumes. This means that you will always be paying the lowest price possible for your deliveries. You to choose from a range of urgent next day air express services, to slower economy deferred services that are perfect for the heavier and larger consignment. All our shipment are trackable online and are supported by our London based customer service team. So if you need any help placing your order, or have any queries please come through to our friendly knowledgeable team and we will do everything that we can to assist you. See below examples of the cheap prices that are available for sending both documents and parcels to the USA through Courierpoint. 1 day transit time – from £ 12.55 Fast Delivery by Air Express, FullyTracked. 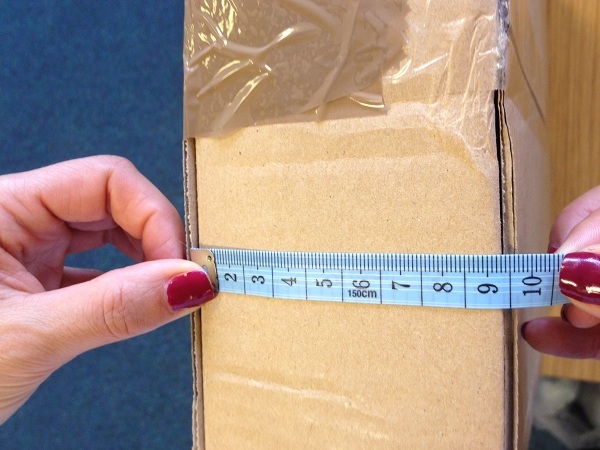 If you have an unusual size parcel delivery to the USA, we can arrange to move it through you. Through our range of premium carriers we can arrange to move all you long, heavy or large items. If you cannot get an automated quote, please get in touch through our customer service team and we will provide a bespoke quotation. We can arrange to move pallets with a weight of up to 1000 kilos by air to thye USA. This is a door to door service with a fast transit time of 5 – 10 working days subject to customs clearance. Rates are calculated individually, so please contact customer service for more information. 1. Size, - The larger a parcel is, the more a carrier will charge for routing it through their network. 2. 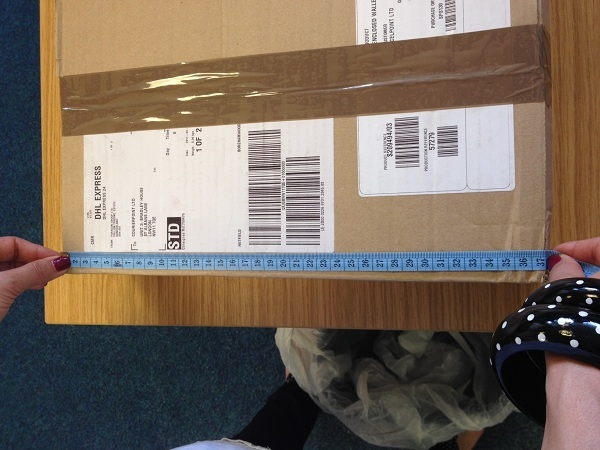 Weight – The heavier a parcel is, the more resource it costs the courier t o move it, hence the more expensive it is. 3. If you are sending your shipment to a moan city, this has a lower delivery cost than addressing the parcel to a remote area. 4. Urgent, fast services are more expensive to provide than slower economy alternatives. Likewise timed morning deliveries are more expensive than deliveries that can take place throughout the working day. 5. Taking your shipment to a drop off pointy or a depot, will lower the cost of shipping, as it saves the courier from additional collection costs. 6. Liability Cover. The more liability cover that your shipment requires the higher the cost of providing this is to the courier service, which is passed onto the customer. 1, Who the sender and receiver of the shipment is. 2, The reason for the shipment. 3, An itemised list of the contents and their value. Using this information customs will assess if Import Duty and or Import Tax is due for bringing the shipment into the USA. You can visit the following USA customs website to find out more information about your specific shipment:- www.cbp.gov/trade/programs-administration/determining-duty-rates Our booking system will automatically produce all of the customs paperwork required for you as part of our service. If your personal belonging originated in the USA and have not been altered, you can send them back into the USA declaring on your proforma invoice “American Goods Returned”. If duty or taxes are due US customs will collect it from the receiver of the package. Our range of parcel delivery services are provided by leading branded couriers you can trust. If you are searching for the most competitive rate for your shipment, from a range of reliable brande couriers, then you are at the right website. You are able to use Courierpoint as a courier comparison site, and remember if you open an account you will qualify for additional discounts. 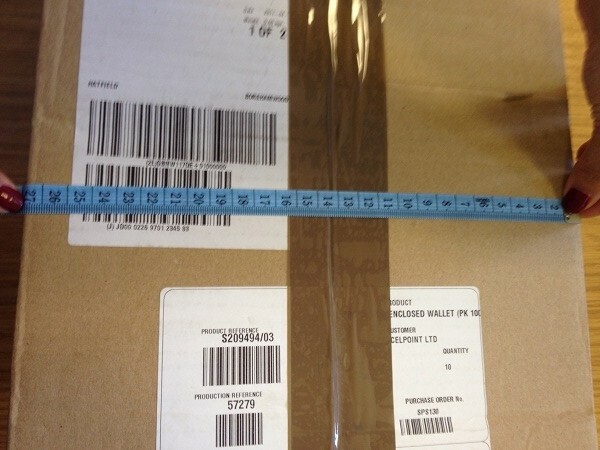 To view our unique offer, simply ensure that you have your measurement and weights for each parcel that you need to send. Within a few seconds we will provide a range of quotes for sending your shipment to the USA. You will see, fast next day air express services, through to economy services that are usually cheaper than using Royal Mail or Parcel Force postal services to the USA. 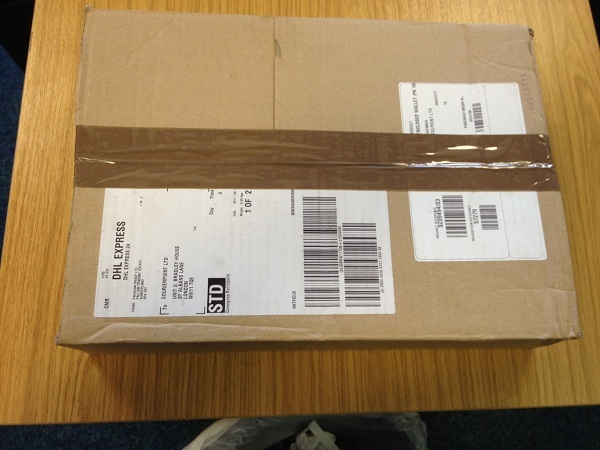 All our courier services offer full tracking from collection through to delivery. So by monitoring your shipment you can have complete knowledge of where it is at every step of its journey. Although we use the best carriers it is also good for you to know that all our clients shipments are fully supported by our local customer services team giving you peace of mind. You do not have to take our word for how supported our clients feel, please read their reviews on the independent website Trustpilot. Here you can see client’s reviews who have actually used our range of services to send parcels to the USA. It is always good practice to read through our FAQ page, as here we list a lot of information that shippers can find very useful, including information on liability and advice on how to pack your goods. Our customer service team is available to help with any queries Monday through to Friday -9am to 5.30pm, excluding bank holidays.